Your Astrological Soulmate - 5 signs that you've found a keeper! Your Astrological Soulmate - 5 signs that you've found a keeper! Have you found your astrological soulmate? How can you tell? Although it’s very possible to be extremely happy in a relationship which isn’t with your soulmate, the depth of a soulmate relationship is greater than any other relationship you’ve ever had before. People often say that you’ll instantly “click” with your astrological soulmate when you meet, but actually that doesn’t seem to be true. It’s surprisingly very common to to feel anxious around your soul mate when you first meet them. Something within you recognizes the something within them – and recognizes how badly they could hurt you, because of how deep your connection will be. This is normal and indeed natural. Your relationship will be something greater than you’ve experienced before, so it’s natural that a certain amount of anxiety kicks in. As your relationship develops, look out for the many tiny but significant coincidences which envelop you. You both pick up the phone to call at the same time. You’d really like him to pick up a pizza on the way home from work, and there he comes, having taken a detour, on a whim, to get pizza. Then you might spot something you’d really love while window shopping, and the next day your partner brings you the exact same item having just “known” that it was something you’d like. You discover that you both frequented the same club at the same time years ago. With an astrological soul mate, these coincidences will come thick and fast. No matter how happy you’ve been in a prior relationship, or how sad you were that it ended, it will pale into insignificance when “the one” comes into your life. Quite simply, you won’t ever have been in love like this before. First of all, there are no secrets between soulmates, because there doesn’t need to be. If you find yourself opening up to your partner about things you’ve never told anyone else, and he or she does likewise, there’s a good chance that you’re meant to be together. You would trust your astrological soulmate with your life – and you quite probably did, in a previous lifetime. No matter how difficult your circumstances or what obstacles life throws at you both, you will both feel utterly confident of your future together. Now, even in your darkest of times, you know that you’ll be there for one another, and you won’t fear the prospect of splitting up. Because Astrological soul mates share very high compatibility between their natal charts, you will find evidence of many strong compatibility indicators in your Astromatcha compatibility report. This beautiful, detailed report can help you savor the magic of a soulmate, and will help to keep your relationship being the very best it can be at all times – because even soulmates fall out sometimes. Find out the truth about what binds you together and face your future in the certainty that your relationship can endure. Obtaining an Astromatcha compatibility report is easy. 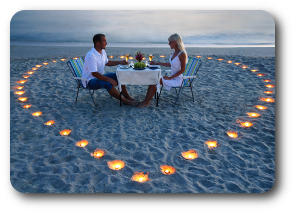 All we need from you is your date, place and time of birth, and the same for your partner. What if I don’t know my or my partner’s time of birth? That’s OK – and quite common. So, the more accurate the time you that can give us, the more accurate your report will be, but we can provide a report even if you have no idea of the birth time. When you purchase, just give us the best information you have, and we’ll do the rest. How long will it take to get my report? Your report will be delivered to you by email within 24 hours – so you’re less than a day away from finding out the astrological keys to your relationship! The vast majority of our customers are delighted with their Astromatcha compatibility report – however, your satisfaction is our top priority, and we offer a full money back guarantee if you are not happy. Simply contact us within 60 days of receipt of your report.